It's a first-come, first-served basis while supplies last on Friday, April 19, and Saturdays, April 20, April 27, May 4, and May 11. 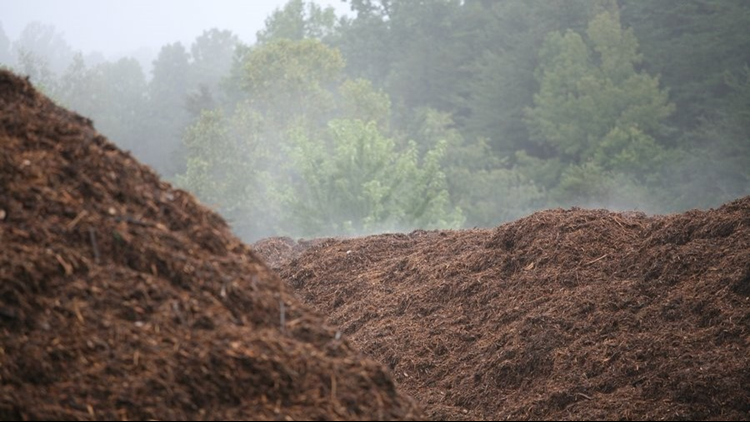 WINSTON-SALEM, N.C. — Winston-Salem/Forsyth County Utilities is offering free leaf mulch to the public on a first-come, first-served basis while supplies last. The pickup dates are Friday, April 19, and Saturdays April 20, April 27, May 4, and May 11. The free mulch is only for homeowners in cars and pickup trucks with or without trailers. You must bring a tarp or a cover to cover your load. Operators will load your vehicle from 8 a.m. to 3 p.m. at the Forum 52 Yard Waste Facility, 180 Northstar Drive in the Forum 52 Business Park off Forum Parkway in Rural Hall. The city says supplies are limited and mulch may not be available on all dates. More information can be found at utilities.cityofws.org or call CityLink 311 or 336-727-8000.